Recently introduced to the North American market by ACU-RITE, long length linear encoder solutions from HEIDENHAIN-owned company AMO GmbH are experiencing early success through select authorized ACU-RITE distributors. 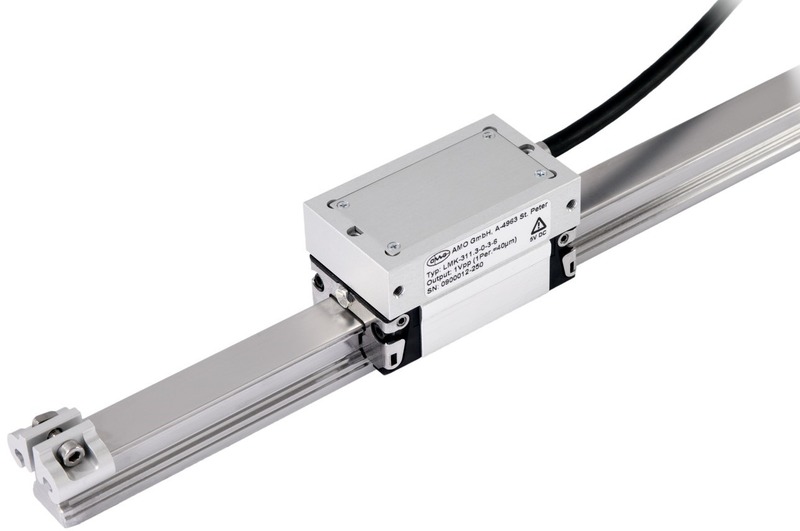 The New LMF 9310 multi-section inductive linear encoder is available in measuring lengths from 3,150 mm (124”) up to 18,270 mm (719”), in 180 mm (7”) increments. It comes standard with a 20μm accuracy grade, 1000μm grating pitch, and a 5μm measuring step. It’s an excellent replacement of the ENC 250 encoder used for manual machine tool applications over 120”. For use in a variety of industries, this type of long length linear encoder is commonly found on large, manually operated metal forming machines such as large VTLs, horizontal planner mills, and large lathes, but may be well suited for use with virtually any long length manual measuring application. With an IP-67 contamination resistance rating, it will even work in the dirtiest environments. While this encoder is manufactured in Europe, it is in stock and ready to ship from HEIDENHAIN’s U.S. headquarters in Schaumburg, IL with a one- to two-week lead time (each tape is cut to order). The international sales organizations continue to evolve, and now authorized ACU-RITE dealers can take advantage of selling the LMF 9310 inductive linear encoders to their customers. The full line of AMO products is planned to be available for distribution in North American starting in 2018. For more information, see your area regional sales manager.